We only talked about the Thinkpad tablet yesterday, and the Ideapad K1 is not much different from its corporate sibling. The K1 is targeted at your next-door consumer who likes to flaunt his/her gadget. 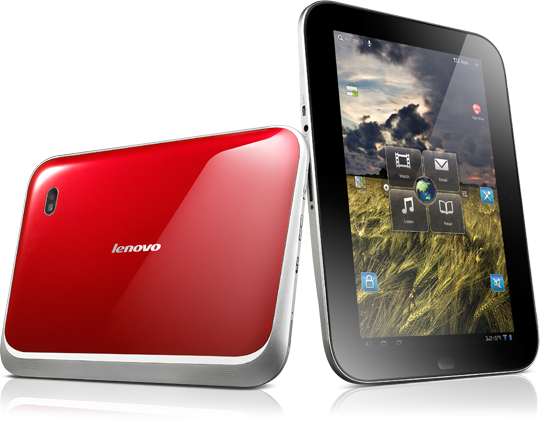 Keeping this in mind, the K1 comes with a glossy surface, unlike the serious matte look of the Thinkpad tablet. 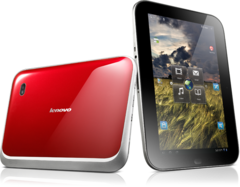 It sports the same 1.0 GHz Tegra 2 chipset, a 10.1” capacitive multi-touch display screen with a maximum native resolution of 1280 x 800 pixels, Honeycomb Android 3.1, 16GB or 32GB internal memory (depending upon which model you chose) and a two-cell battery Lenovo promises will be good for up to ten hours. As we mentioned before, the display is quite glossy and reflective. This might come in way while operating under sun or a roomful of bright lights. Glossy surfaces generally reflect more on darker surfaces, so you might end up looking at your own face while watching those night scenes of your favorite movie. Brilliant silver-color metallic look gives a futuristic touch to the body. The textured back will help you grip the tablet. There are the 5MP primary camera on the back with flash, and a 2MP front video calling camera. The I/O ports include the dock connector, mini HDMI and an audio port at towards the bottom side; an SD card slot, volume control buttons, power out and a lock switch on the left. Sadly there is no USB port like in case of the Thinkpad tablet. This is a significant feature in our opinion, business or not. The K1 comes in three colors – black, white and red. There is a flashy UI on top of the stock Honeycomb that you might like – as shown by an Engadget video. For example, the unique grid launcher by Lenovo that features four squares covering the internet icon (you get the same UI on the Thinkpad tablet as well). You can customize what goes in in these spaces, as well as disable it if you wish so. There is also a Lenovo appstore that should house apps, both free as well as paid, that are recommended by the company to run on your K1. So no insecurity about incompatibility issues! The social app integrates multiple accounts including your emails, Twitters, Facebooks etc. and shows a consolidated update flow. This is nothing new, but getting such an app out-of-box does not harm. The 32GB model will start shipping in the US starting second week of August. It will be available in all colors starting at $499.99. A leather case along with will set you back by another $19.